REO was not letting go! Placed an offer on this home within our first month in Mastery (September 2014), 6-months later we wore them down and they accepted our offer. 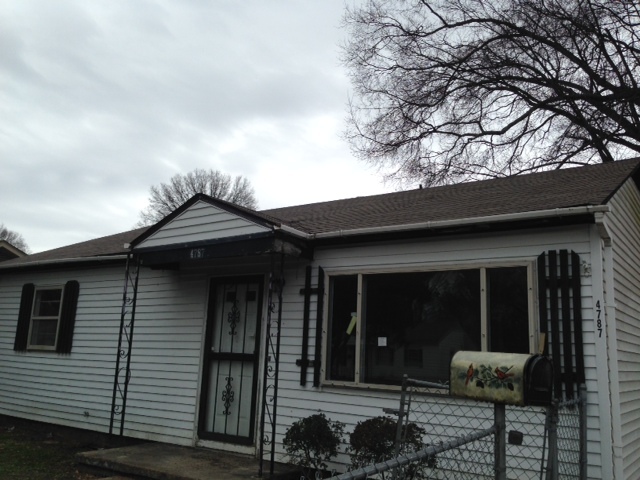 Purchased, $20,000 Rehab: 20,000 ARV: 62,000 - We decided to hold! Rewired entire 1200 sq/ft home (from street pole to holes in walls) and 600 sq/ft garage. Installed a new HVAC system and vents throughout home. Rebuilt Roof. Painted entire inside home and placed new hardwood floors in bedrooms. Bathroom required small amount of work. Lessons on this home are numerous but instrumental! This 1953 house has been closed up for over 3-years. Electrical was not in code so our electric company would not turn on the electric or gas until the system was up to code. There was no heating or air conditioning in the home - we should have looked for air ducts. Part of the electrical system was placed inside of a cabinet in the KITCHEN! and not in code! No insurance coverage until new roof, new electric, and new tenant. Rehab took longer than 30 days so we lost the insurance. Quickly recovered though. Now we have a tenant and insurance.